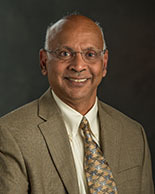 Venkatarao (Rao) began his cryogenic engineering career in industry thirty-six years ago at Cryogenic Technologies, Inc. and Koch Process Systems. His responsibilities encompassed the process and mechanical design, fabrication oversight and commissioning of many helium refrigeration systems presently operating in the U.S. and in other countries. He worked for twenty-two years at the Thomas Jefferson National Accelerator Facility, providing the technical direction for the planning and operation of the laboratory’s several cryogenic 4.5-K and 2-K helium refrigeration plants, was responsible for the lab’s 12 GeV cryogenic system design. 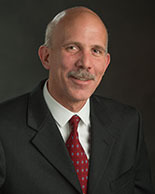 Concurrently, he led and provided the technical direction for the collaborative industrial and inter-laboratory cryogenic research and development programs for the MSU cyclotron, Spallation Neutron Source at Oak Ridge National Laboratory, Brookhaven National Laboratory, National Aeronautics and Space Administration’s Johnson Space Center, FRIB, and Linde Cryogenics. He is the patent holder of the Floating Pressure – Ganni Cycle licensed to Linde Cryogenics, and received the White House Closing the Circle Award in 2007 for the Leadership in Federal Environmental Stewardship for reducing the power required by the helium refrigeration/liquefaction systems. He is a Fellow of the Cryogenic Society of America. Pete began his career 25 years ago for the National Aeronautics and Space Administration at the Kennedy Space Center responsible for the engineering and design high pressure gas, cryogenic and specialty fluids used for space shuttle ground-support systems. There he was first immersed into helium cryogenics and was a lead engineer for large projects, performing detailed engineering design, analysis, testing, and technical project oversight. His last position was as a senior staff engineer at the Thomas Jefferson National Accelerator Facility, where he worked for sixteen years in the Cryogenic Group and was responsible for the detailed process and engineering design of new and modifications to existing helium cryogenic systems as well as supporting cryogenic plant operations. During that time he was involved in the process and mechanical engineering design of cryogenic systems for the Thomas Jefferson National Accelerator Facility, Spallation Neutron Source at Oak Ridge National Laboratory, NASA’s Johnson Space Center, and Brookhaven National Laboratory. He was the lead process engineer for the Thomas Jefferson National Accelerator Facility’s 12 GeV cryogenic refrigeration system and is responsible for the process design of the FRIB cryogenic system at MSU. He is a member of Tau Beta Pi and a director of the Cryogenic Association of America. P. Knudsen, et al, “Modifications to JLab 12 GeV refrigerator and wide range mix mode performance testing results,” International Cryogenic Engineering Conference, New Delhi, India, 7-11 March, 2016. P. Knudsen, V. Ganni, “Testing of a 4 K to 2 K heat exchanger with an intermediate pressure drop,” Advances in Cryogenic Engineering 61, American Institute of Physics, New York (2016). V. Ganni, et al, “Application of JLab 12 GeV helium refrigeration system for the FRIB accelerator at MSU,” Advances in Cryogenic Engineering 59, American Institute of Physics, New York (2014). P. Knudsen, “NASA-JSC space environment simulation lab (SESL) chamber A – new helium refrigerator,” Jefferson Lab Colloquium, 18 September, 2012. P. Knudsen, V. Ganni, “Process Options for Nominal 2-K Helium Refrigeration System Designs,” Advances in Cryogenic Engineering 57, American Institute of Physics, New York (2012). P. Knudsen, V. Ganni, “Cold End Process Options for Nominal 2-K Efficiency Improvements,” TJNAF Technical Note 11-014, Jefferson Lab, April 2011. P. Knudsen, V. Ganni, “Helium Refrigerator Liquid Nitrogen Pre-Cooler Component Parameter Sensitivity Analysis,” Advances in Cryogenic Engineering 55, American Institute of Physics, New York (2010). V. Ganni, P. Knudsen, “Optimal Design and Operation of Helium Refrigeration Systems Using the Ganni Cycle,” Advances in Cryogenic Engineering 55, American Institute of Physics, New York (2010). J. Homan, et al, “The Liquid Nitrogen System for Chamber-A Change from Original Forced Flow Design to a Natural Flow (Thermo-siphon) System” Advances in Cryogenic Engineering 55, American Institute of Physics, New York (2010). P. Knudsen, V. Ganni, “Process Study of Nominal 2 K Refrigeration Recovery,” Advances in Cryogenic Engineering 53, American Institute of Physics, New York (2008). R. Than, et al, “The RHIC Cryogenic System at BNL: Review of the Modifications and Upgrades Since 2002 and Planned Improvements,” Advances in Cryogenic Engineering 53, American Institute of Physics, New York (2008). P. Knudsen, V. Ganni, “Simplified Helium Refrigeration Cycle Analysis using the ‘Carnot Step’,” Advances in Cryogenic Engineering 51, American Institute of Physics, New York (2006). J.D. Wilson, Jr., “Determination of the optimal operating parameters for Jefferson Laboratory’s cryogenic cold compressor system”, MSc Thesis, Christopher Newport University, Newport News, Virginia, 2003. P. Knudsen, “Process study for the design of small scale 2 Kelvin refrigeration systems,” MSc Thesis, Old Dominion University, Norfolk, Virginia, 2008. M. Wright, “Design and development of a helium purifier,” MSc Thesis, Old Dominion University, Norfolk, Virginia, 2009. E. Yuksek, “Capacity improvement of a small-scale cryogenic system using exergy analysis,” MSc Thesis, Old Dominion University, Norfolk, Virginia, 2009.